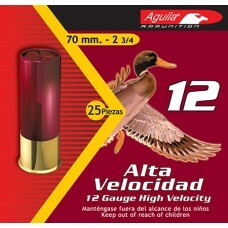 Aguila's high velocity 0B (12) buckshot is ideal for the field or defense applications. 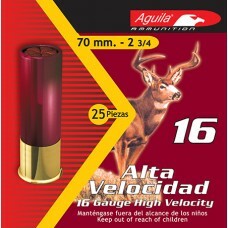 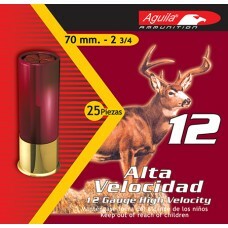 Pellets leav..
Aguila's high velocity buckshot is perfect for deer hunting and self defense. 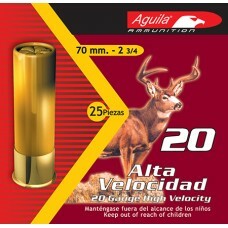 Pellets leave the muzz..
Aguila's 20 gauge high velocity buckshot puts fear in deer. 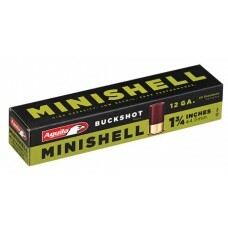 With pellets leaving the muzzle at a bli..
Cartridges have a truly startling reduction in kick, and a substantial reduction in noise. 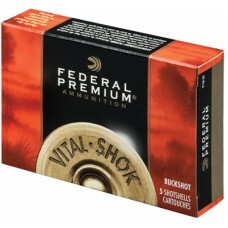 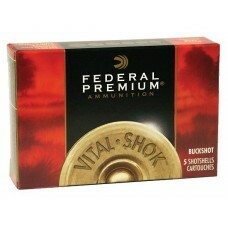 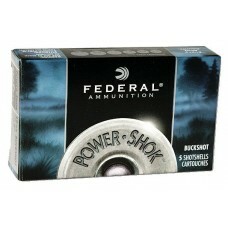 Made in t..
Federal's Vital-Shok buckshot loads feature a patented spiral stacking process with plastic shot cup..